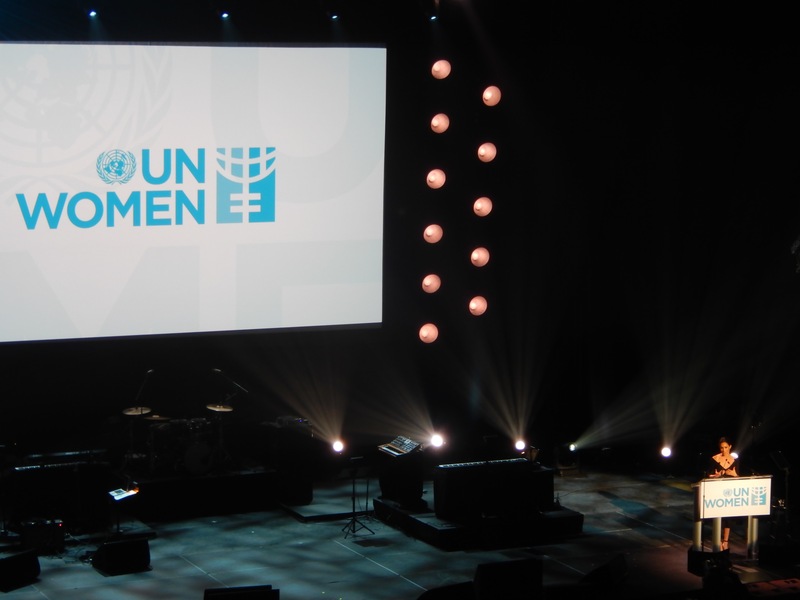 That year, NGO’s were offered seats at a UN Women event at the Manhattan Center in the nosebleed section of the Hammerstein Ballroom. My son and I stood in line outside in the rain eating burgers from the 5 Guys across the street so that we could be there for the impressive (and long!) lineup of speakers–including Ellen Johnson Sirleaf, the President of Liberia and Secretary of State, Hillary Clinton. We hadn’t known then that Markle was a descendant of slaves and noblemen–a distant cousin to Prince Harry–who she would meet in the year to come–and who she will now wed.